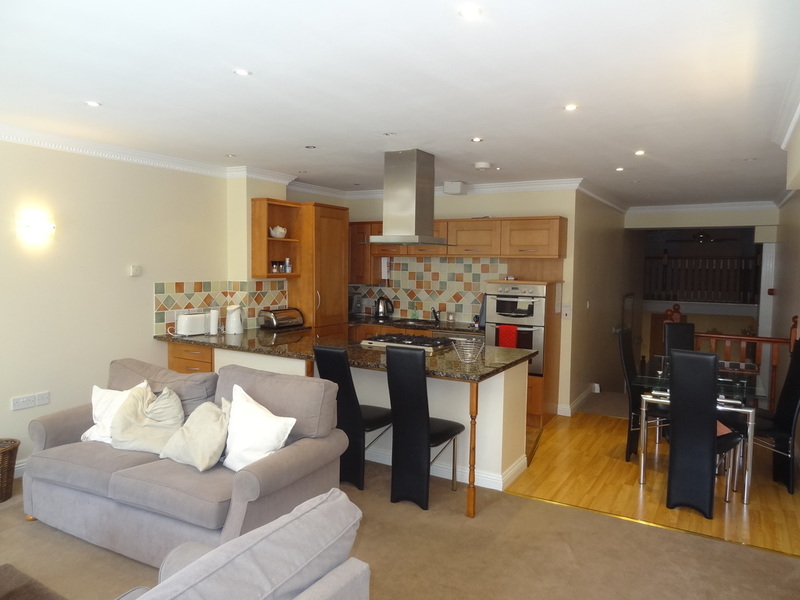 A STUNNING TWO/THREE BEDROOM TRIPLEX APARTMENT SET IN THIS BEAUTIFULLY RENOVATED AND RESTORED VICTORIAN BUILDING AT THE HEAD OF BOSCOMBE SPA WITHIN EASY ACCESS OF THE AWARD WINNING BEACH AT BOSCOMBE PIER AND SHOPS AT CHRISTCHURCH ROAD. 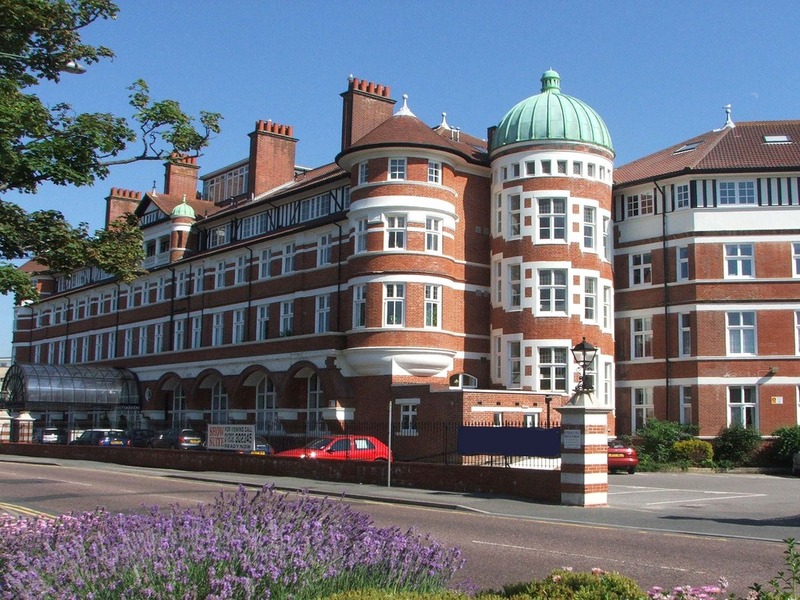 Burlington Mansions was originally built in Victorian times as one of the premier hotels in the South of England. It was refurbished into luxury apartments over a period of years yet retains much of its Victorian splendour, the most noticeable of which is the initial entrance hall with its high ceilings and magnificent chandelier. It is situated at the head of Boscombe Chine within a few hundred metres of the award winning beaches at Boscombe Pier, whilst the Christchurch Road pedestrian precinct with supermarkets, banks, bus station etc is easily accessible via Sea Road, Bournemouth Railway Station (mainline to Waterloo) is barely a mile away as is the A338 and then the M27 and M3 motorways. The flat is arranged on three levels, comprising of two storey entrance area with mezzanine which forms either a bedroom or a study area. Stairs then lead down to the master bedroom suite and up to the living area. The rear aspect is fully glazed with access to the large south facing terrace. A secure entrance door leads to magnificent entrance hall with the concierge's office (7am-1pm) to the right hand side. A corridor from here then leads to the from door of Flat 5. Electric cupboard to left side with consumer unit. This area provides a range of uses as an additional sitting/media room/study or even additional dining area. A hallway from here leads through to the rear living area but sperately a stairway to the right hand side leads to the mezzanine. 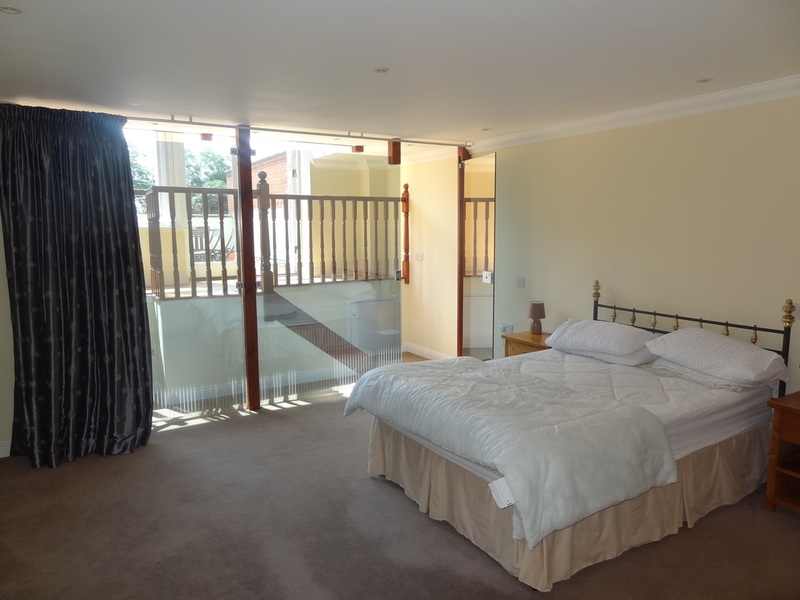 Balustrade with sliding privaccy screen and slightly restricted head room. Mezzanine currently has a fold out sofa bed to provide a third bedroom but in similar flats is often used a study/library/music room. 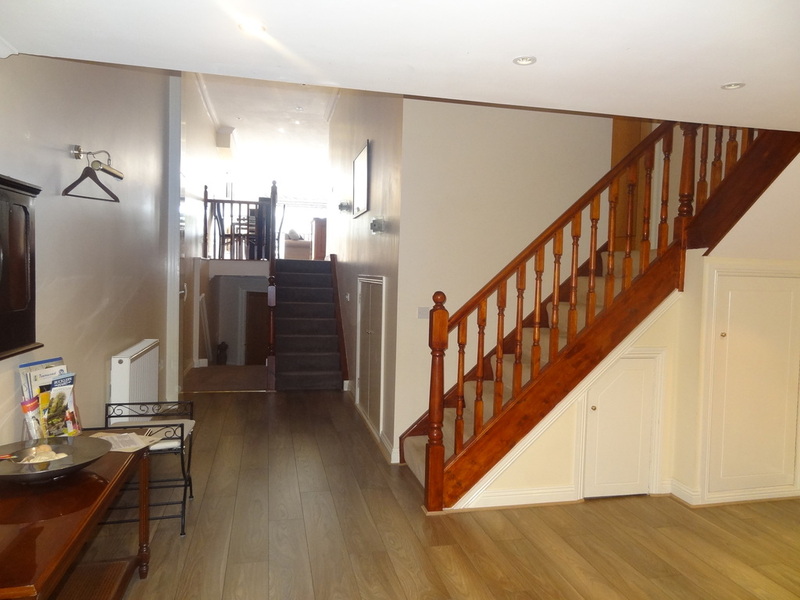 Entrance lobby leading through to bedroom. Skylight window with blind, space for double bed, wardrobes etc. Fitted with a large glazed shower cubicle, wash basin and matching WC. From the entrance area a second hall leads up a short flight of stairs to the living rooms and down a flight of stairs to the bedroom (hence the triplex description). The right of this hallway is a utility/cupboard. This large area is ideal for storage, and although it does have severely restricted head room, it is a very useful space and indeed to one corner is space and plumbing for automatic washing machine. The raised living area features a dining area to the left of the staircase, a kitchen to the right and the main living area towards the far end, with a second stairway down outside to the terrace. Along the rear and side walls with a peninsula unit forming a breakfast bar to one side. It is fully fitted with a range of units and incorporating all built-in appliances such as oven, hob, fridge/freezer dishwasher, etc. 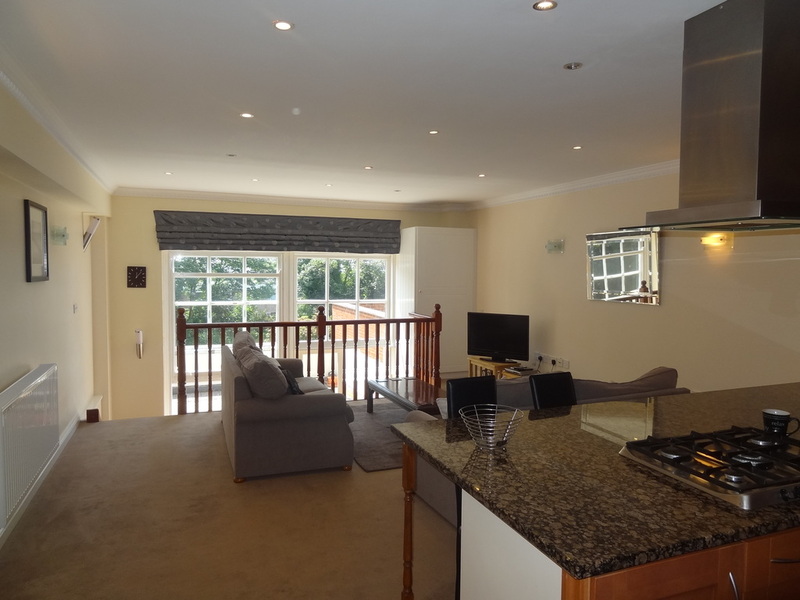 There is ample space in the dining area for a family-sized dining table whilst the main living area has space for sofa suite etc with a TV point and the previously mentioned staircase down to the terrace. From the hallway the second half stairway leads down to the master bedroom suite. A stunning feature of this room is the glass wall to the rear leading to the staircase and the terrace. It is part mirrored being effectively one way glass and keeps the room lovely and light. There are built-in wardrobes to one side. Ample space for double bed and other furniture. 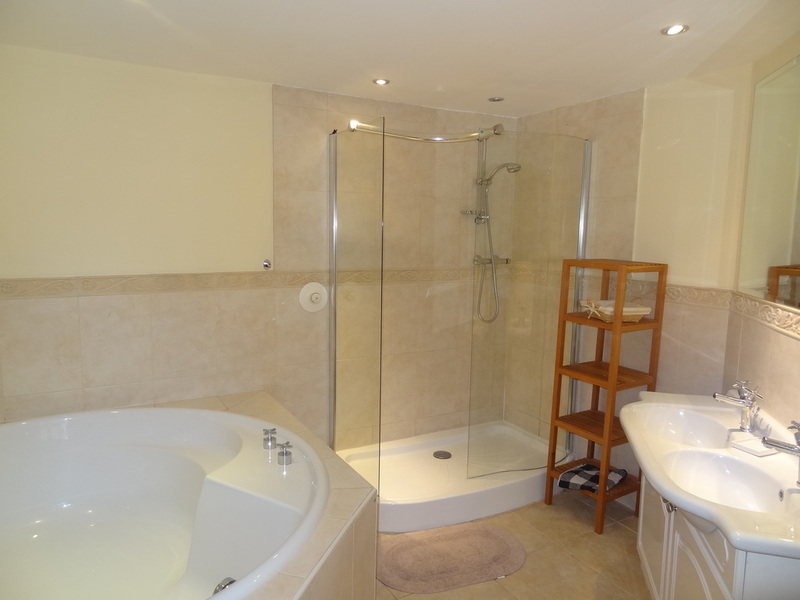 A truly stunning bathroom with large round bath to the left hand side. Corner glazed shower cubicle, WC and double basin to side (see photo). 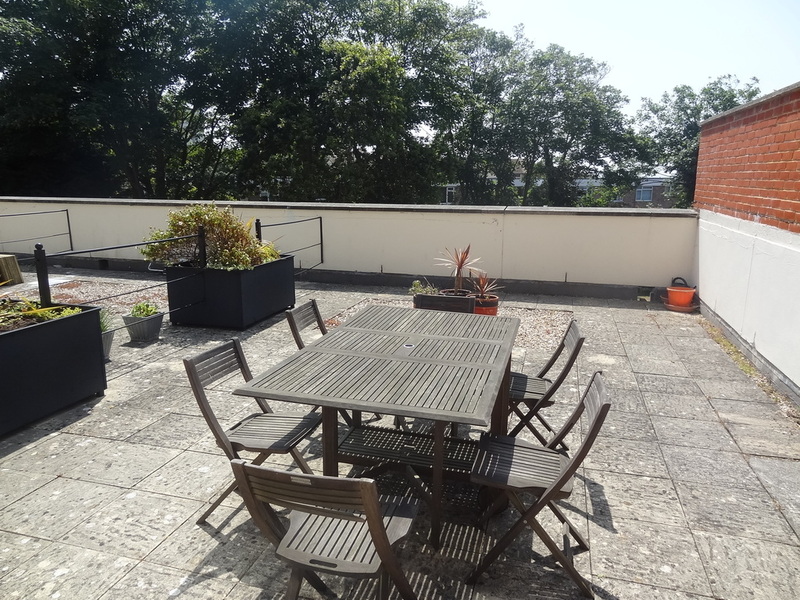 The terrace is accessed via the previously mentioned doors from the rear of the apartment and is particularly extensive with ample space for outdoor furniture sets and al fresco dining. 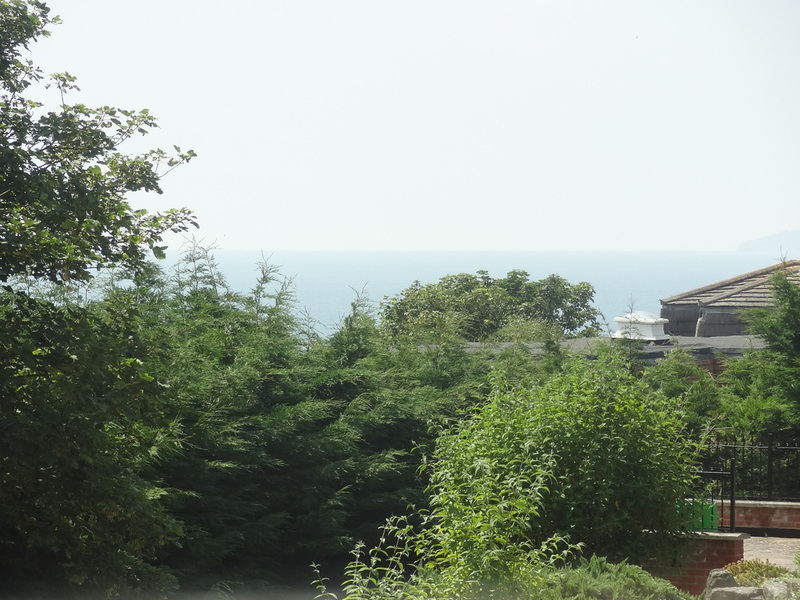 It has a sunny southerly aspect and from the living area there are even sea glimpses. 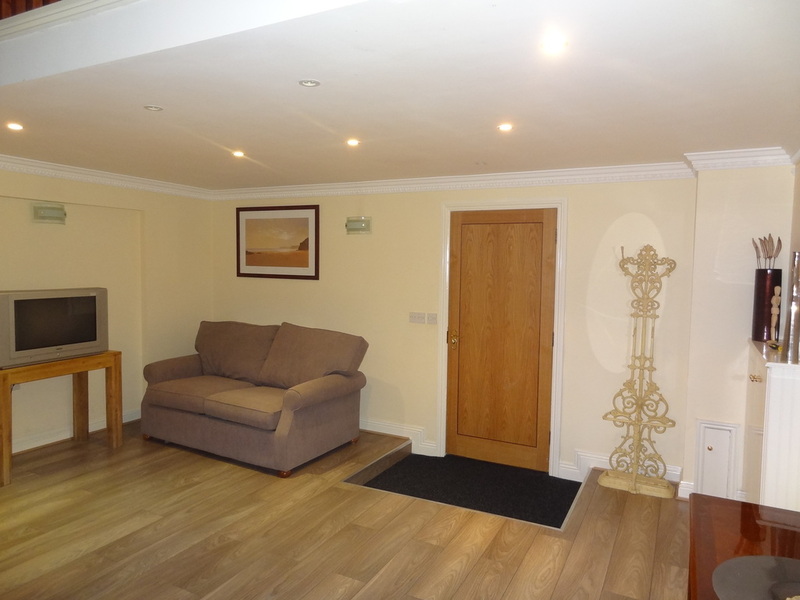 Burlington Mansions generally has well maintained grounds with both an allocated parking space to the flat and then separately to the rear a garage in a detached block with a large communal terrace for the residents only. It is a large single with ample space for car, bikes, surf boards etc. LEASE TERM: 125 years from September 2001. However a share of the Freehold is available. MAINTENANCE and GROUND RENT: £2237 per year. The property is currently under a winter let until June 2015 and thereafter is summer let making an annual yield of £19,000.